Would you like to see this mod available in standalone parts? As in one mod for trees and one mod for wild plants/flowers and one for wine production. No, I like everything included in this mod. I see no reason to split it up. 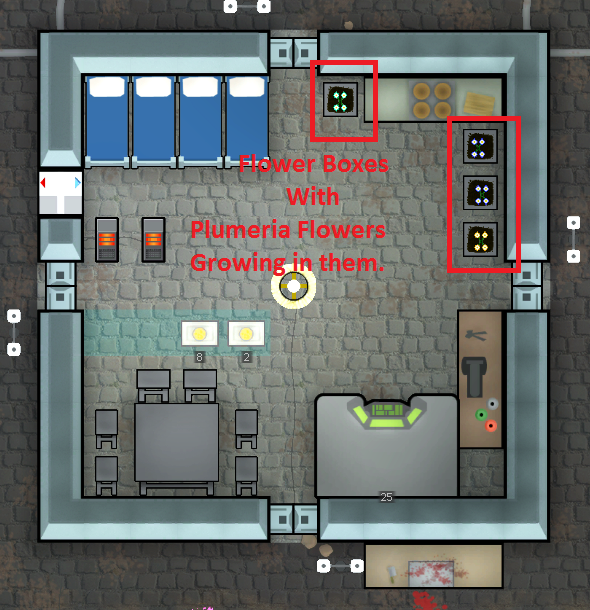 This mod adds several new plants to the game. Some of them can even be harvested for food that gives a positive thought when eaten raw. Please note that while not all plants grow wild in every biome, they can be planted in growing zones no matter which biome you are in. And some have a higher beauty rating than others based purely on my own aesthetic preferences. For those of you who also use Extended Woodworking, there is a compatibility patch now that makes the trees in this mod drop the proper wood logs. You can find that patch HERE. The raw foods are best used as a reserve food for when you run out of cooked meals and as an early food source before you get your garden up and running. You do not get a positive thought from eating them in cooked meals. As of v5.0 you can now cook most of the raw foods into a pie which will give you a higher mood boost than eating the raw ingredients. This mod is still in development and as such is not guaranteed to be completely bug free. If you come across any bugs or balance issues in the game please mention them so I can fix them quickly. Some of the textures aren't quite the best because I was trying out different techniques throughout the process, but if you think you can do better then please feel free to submit them and you will be credited for your contribution. I worked hard on this mod so if you plan on using it then please just send me a PM or comment on this thread letting me know. I don't mind people altering this and putting it in their own mods or even putting it in as it is. Skullywag for the .dll that makes the seedless grapevine work and a few various XML additions for the same purpose. Plymouth for the Seedless Grapevine texture. Viperlol for providing a texture for the Pink Rimstalk flower. JuliaEllie for inspiring me with her RumWorld mod in Alpha 7 to do the wine making part of this mod. Minami for making the Water Barrel in TTM that was the inspiration for the seedless grapevine. Loki88 for doing a bunch of textures for various things in this mod. v1.0 Initial release containing 7 trees. v2.1 Updated for Alpha 8. Added Bamboo as a plant that can be grown in a growing zone. Also reduced the file size a bit by combining multiple XML files into 2 files. Using vanilla graphics for the pine tree as it is better than mine. v2.2 Fixed a few mistakes that were missed in the last update. v3.0 Integrated Xtra Trees and my flowers mod to make Xtra Plants. Added Bamboo as a wild plant. Added Allium Giganteum, Plumeria, and Sunflowers as wild plants. Allium Giganteum and Sunflowers can be grown in growing zones. Sunflowers can also be grown in hydroponics. Plumeria can be grown in flower pots. Square flower pots added. Sunflower seeds food added. Textures for leafless trees added. v4.0 Added Camellia and Japanese Maple trees. Added Pink Rimstalk flower. Added Wild Grape Vine and Seedless Grape Vine. Added Wild Grapes and Seedless Grapes. Added Wine Press. Added Berry Wine, Low Quality Wine, and High Quality Wine. Added Grape Seed. Replaced the texture for Bamboo with one done by Loki88. Replaced my crappy texture for the Seedless Grape Vine with one done by Plymouth. Added an additional version of the Sunflower texture done by Loki88. Special thanks to Skullywag for the .dll portion of this mod. I couldn't have done it without his contribution. v4.1 Added Nymph Hair, Olive tree, Cherry tree, and Sugar Cane. Added Cherries, Olives, and Raw Sugar Cane foods. Made grape seeds buy-able at traders. Grass is grow-able in growing zones. Adjusted numbers of all plants in all biomes. Increased stack size of various items. Adjusted nutritional value of several food items. Adjusted market value of many items. v5.0Added Anthurium flower. Added Oil Press and Cooking Oil. Added Gourmet Meal and several Pie recipes. Corrected typos and general mistakes. Adjusted size, cluster radius, commonality, harvest yield, and time to maturity for most plants. Adjusted stack size limits of several things. Increased mood bonuses for several things. v5.1Updated to Alpha 9. Made wine make you drunk the same as beer. Made a few other small tweaks to try and fix some weird bugs that were reported. v5.2 Fixed a mistake with trees lifespan being 1/5 of what was intended. Thanks to ItchyFlea for pointing this out. v5.3 Increased pie recipe output to 4 slices. Increased lifespan of Sugarcane plant to 30 days. BE SURE TO UPDATE TO THE LATEST VERSION OF RIMWORLD BEFORE DOWNLOADING THIS MOD! *Or if you are logged in to the forums you can download the current version from the attachments just below this. Nice work, adds some welcome variety. Will be using this a lot I reckon. Thanks, I appreciate the words of encouragement. Nice job, Igabod! Would love to see this expanded to fit more biomes and such. so the trees are cut down when harvested or do they regrow their fruit after awhile? theres a few mods that add machines where you can input something and it will output something. having something like a more permanent tree that uses this system and outputs food would be neat. anyway cool mod i will include it next time i generate a world so i can have more food options. More biomes? There's new trees in all of the playable biomes. I already have some new trees in mind to go into the other biomes as soon as they are playable though so no worries. If you meant you want me to make the other biomes playable in a mod then I'm sorry, I won't be doing that. A8 is just around the corner anyway and I'd hate to do all that work only to have the new alpha come out a week later with the new biomes playable. 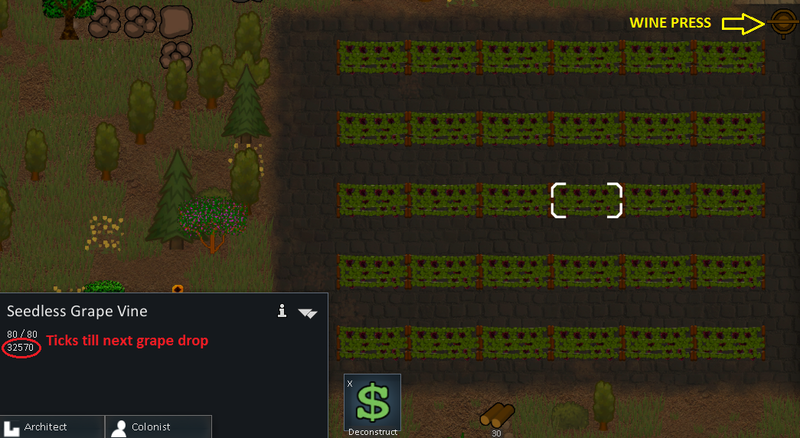 It seems the colonists are lazy and they feel it's better to just chop the whole tree down and gather the fruit that way than it is to risk breaking a leg by climbing a ladder. Might have something to do with the no z-layers thing but that's just speculation. In all seriousness though, I considered that, but that is just more complex that I have the patience or skill to pull off. It took all my patience just getting trees to give food instead of wood. I really wanted you to be able to get food plus a little wood (5 or 10 wood) but that's not such an easy thing to do without some real programming in a .dll file. Hi, do you know of any mod incompatibilities? i havent had the time to test out what it is that is causing the issues yet, so thought i would ask incase you knew about this issue. 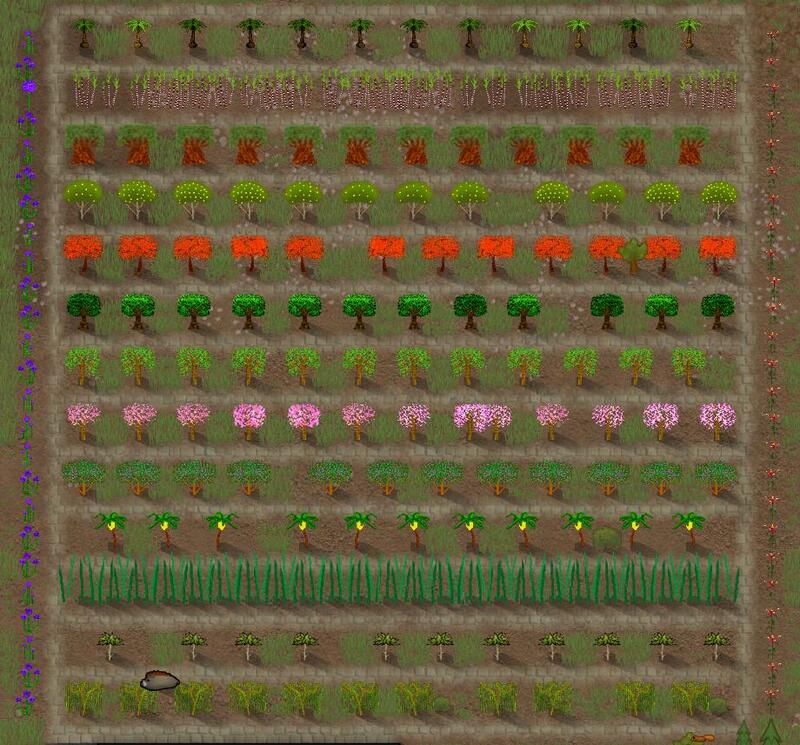 I installed the mod part way through a game, and it worked fine, textures loaded lovely when i grew my fruit tress. but when i started a new game, the entire map was filled with White boxes (if i can get the issue to repeat itself a forth time when i next have free time, i will add it to the post) but the boxes were called cherry blossoms. so i deleted the cherry blossom lines out the def's thinking that i had bugged it in someway. started again, same white boxes filled the map, but this time they were called lime trees. Now from growing them in the first game, i know the texture was not bugged in my game, and it played nice when i loaded it in a saved game, so do you know why this may happen. Hey igabod do you want a class that can be defined in xml where you can set multiple items as dropped from the tree. If so ill see if i cant knock one up when im home later. Seems like itd be a useful class. I'm not sure why it worked for you on a previously saved game. But the only incompatibilities I know of for sure are the Neolithic mod, and any other mod that makes changes to the biomes_base.xml file. I've never run into any problems with any other mods when I load this mod last (which is why I named it Xtra Trees instead of Extra Trees). You might try these steps to get it working. 5. Then start a new game. Trees should all load up nice and fine. Even if you have another mod that modifies the XML file I mentioned, this shouldn't over-write anything they did since I only added trees to spawn in each biome in that file and edited a part to reduce the plague chance since I'm using the first release of A7 and not the hotfix to correct that. I hope this helps, if it doesn't then you'll need to remove mods one by one to narrow down which one is conflicting. yeah I'd really appreciate that if you're willing to do it! Thanks for the offer. the [ img] tags surround the url of the image. Also, on imgur there is a handy little box to the right of the picture after you load it that shows the bbc code for that picture. As for your mods list, the only one I can see that might possibly have any effect on this mod is the material crops mod. I don't know though because I haven't used that mod and haven't looked at what files it modifies. I use a lot of the rest of your list though with no problems. But try a game with just the material crops and xtra trees and core mods activated. Also see if it works with no other mods except the xtra trees and core mods enabled. Maybe you got a corrupted download though. If the other things I just mentioned don't work then try downloading the mod again using the other link. If you used my dropbox link first then try the attachment and vice versa. Don't forget to delete the folder for xtra trees from the mod folder before re-installing the new downloaded one. Ok, thanks. I'll do my best to make my mod work with whatever it is that's causing these issues. If it's at all possible that is. Or not so. I don't know what occurred, maybe it was some unholy combination of the mods or ones i have removed previously, but initialising them one at a time, everything seems to work smoothly now. Sorry for wasting your time ha, if it occurs again, i will do some thorough testing, but for now, i shall sleep. No problem. Glad you got it working. Hopefully this is just an isolated incident. I'm going to bed now myself. I've had a very long night.